Tampa Bay fishing charter Captain Sean Goddard has lived near and has been fishing the West Coast Florida for over 40 years. 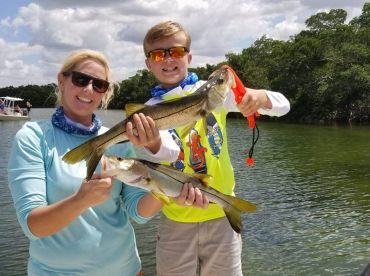 He has devoted his time to learning the waters of Tampa Bay. As a result, he has become adept at the skills required to be a successful captain. 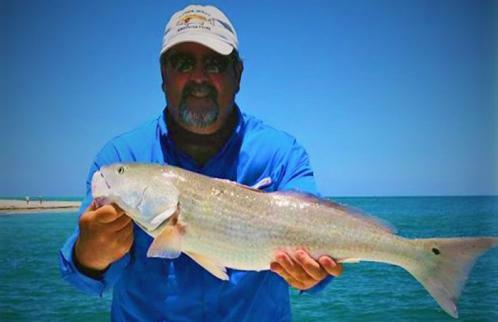 He fishes the inshore and near shore waters of Tampa Bay and the Gulf. 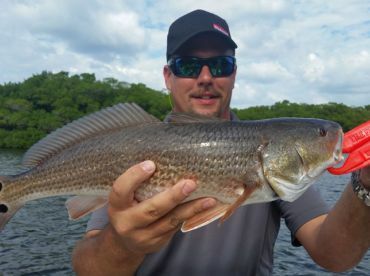 Experienced in artificial baits, light tackle and live bait tactics, he enjoys taking time to teach people that want to learn how to fish and loves to teach kids the art of inshore fishing. 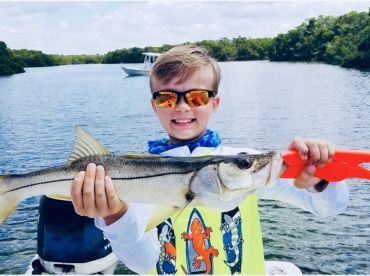 According to the captain, the best part of his job is seeing a kid smile when they feel the tug on the other end of their line. 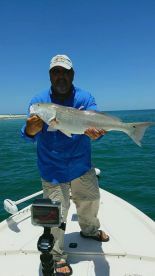 I fish mainly for Snook, Redfish, Sea Trout, Grouper, Snapper, and Mackerel. 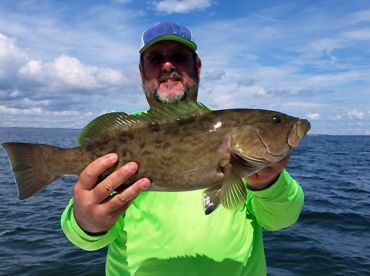 I specialize in live bait fishing, which is most of the fishing I do with my clients. Thank you for you review. It was truly my pleasure to spend the day fishing with you. I look forward to seeing you again this spring.